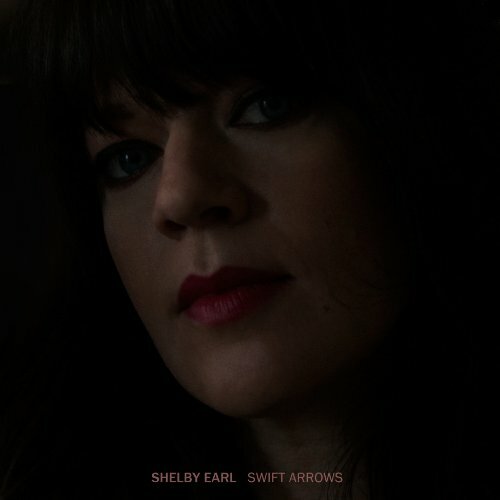 Based on Shelby Earl’s 2011 debut, most listeners would categorize her as an indie-folk artist, albeit one with a distinctive, torchy voice and an innate sense of mood. Even her bio somewhat indiscriminately slaps the indie-folk tag on her. But the only thing indie on her sumptuous sophomore release is the record label and few hearing this album would consider it folk. Instead, Earl smartly joined forces with Seattle hometown musician Damien Jurado as producer and with the basic tracks recorded live, the twosome have expanded her sound far beyond what most would have anticipated. The subtle strains of classic 60s pop that once lurked under the surface, nearly explode on the opening title track. Earl wraps her smoked amber voice around simple, retro piano chords that wouldn’t be out of place at a sock hop slow dance. Tubular bell chimes, strings and what sound like well-placed kettle drums ramp up the restrained drama on a song that never goes sonically overboard as it introduces us to what is to come. Castanets, backing vocals and a “Be My Baby” drum figure bring the Phil Spector vibe on “Sea of Glass” that with its live reverb, grabs hold and won’t let go. Tunes that begin with basic guitar accompaniment often blossom into full blown productions, a tactic that is not overused and consistently effective. Earl’s sense of humor blossoms in “The Artist,” another slice of girl group influenced pop, as she chides her boyfriend that “I love you/you love you too,” against a peppy beat. She’s just as convincing on achingly beautiful ballads such as the introspective “Mary,” a touching tune about a friend who picked her up after a devastating life change. The ghostly crushed velvet jazz blues of “Blue Girl” captures the lyrics’ creeping sense of sadness and danger. There aren’t many traces of Earl’s one time indie-folk left, but with an album as powerful and moving as Swift Arrows, few will miss them. This is an invigorating, bold statement from a singer/songwriter and producer teaming up to reinforce each other’s talents and push themselves into new, exciting and refreshingly audacious territory.